“Numbers don’t lie to me,” Berehowsky, a former NHL star defenceman who is in his first season as coach of the WHL’s Lethbridge Hurricanes, said in an interview this week. And right now, like the truth sometimes, the Hurricanes’ numbers in the standings hurt. They’re last overall in the 22-team league with a 6-27-2-3 record. But three of their six wins, along with a shootout loss, have occurred in the past 10 games. The ‘Canes headed into the Christmas break on a high note by defeating the Kootenay Ice 5-4 in a shootout in Cranbrook, B.C., on Tuesday night. The Toronto native joined the ‘Canes last summer after one season at the helm of the Orlando Solar Bears of the ECHL following three seasons as an assistant coach with the AHL’s Peoria Rivermen (2009-10 to 2011-12) and two in a similar role with the Barrie Colts in the OHL (2007-08 to 2008-09). Despite the Hurricanes’ struggles, Berehowsky is thoroughly enjoying his new experience in the Southern Alberta city. “A community like this is where junior hockey should be,” he said. 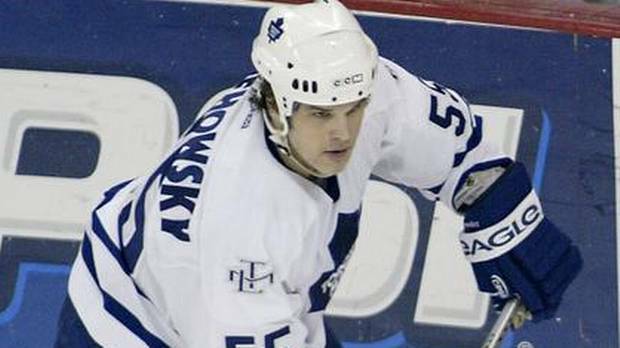 When he isn’t busy guiding players, Berehowsky is busy helping his wife Lori look after their six children — three boys and three girls — aged nine and under. Berehowsky had no shortage of details to consider in his former post with Orlando, where he compiled a 28-37-0-7 record in the club’s first ECHL season. With the aid of a mobile “abstract learning” application that he is developing with assistance from Ryerson University in Toronto, Berehowsky tracks such stats as defensive and offensive zone time, puck control and where goals are scored from. The analytics, he said, confirm that the Hurricanes are slowly getting better as they attempt to climb “a mountain” by taking “baby steps” first. “You see the improvement every day and every game,” said Berehowsky. But he relies on more than just numbers in his quest to help the Hurricanes become a contender. He also uses video extensively and bills himself as a communicator, someone from whom his charges can seek advice “about anything” on or off the ice. “I knew who Drake was, but we hadn’t met prior to the very first interview we had back in June-July,” said Robson, who scouted for Minnesota and Dallas for more than two decades. “We’re building for the future and we believe we’re going to be a good hockey club next season and in the next couple years,” said Robson. As the Hurricanes continue their improvement efforts, he and Berehowsky are not putting too much emphasis on the two most important numbers for any hockey team — wins and losses. Instead, said Robson, the coach and GM are sticking to the “process” that they are trying to teach.